Research at University of Cork conducted on 1,900 Irish children in early infancy explored, non-invasively, their skin barrier function by measuring water evaporation from babies' skin. It showed that skin barrier dysfunction predicts food allergen sensitisation at two years of age. The hypothesis is that defects in the skin barrier could be the key starting point of food allergy. 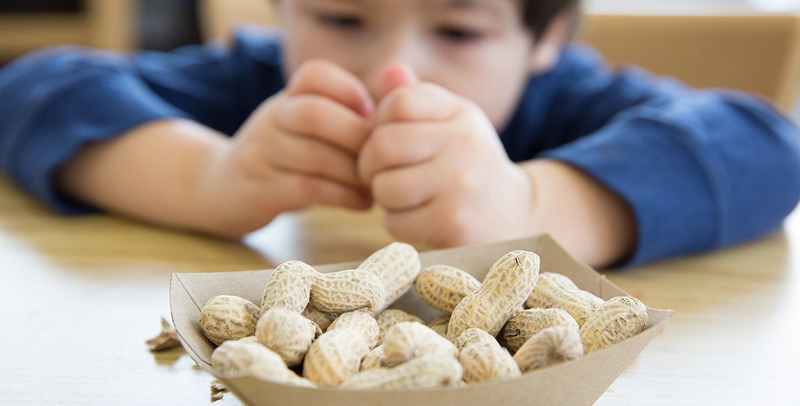 "Now that we have shown that sensitisation to food allergens occurs across a dysfunctional skin barrier, the next step would be to instigate an intervention to see whether we can protect the skin barrier in early infancy, and to assess then whether that would decrease the rate of food sensitisation and allergy in children," explains Dr. Maeve Kelleher, Baseline Team Department of Paediatrics and Child Health, University College Cork. Jonathan O'B Hourihane, Professor of Paediatrics and Child Health, University College Cork, and Co-Chair of FAAM 2014, emphasized: "This is the largest and earliest data set of measuring skin barrier function." Research at King's College London, United Kingdom, tests the hypothesis of the early introduction (from three months of age) of six allergenic foods (cow's milk, egg, fish, wheat, sesame and peanut) into an infant's diet, alongside continued breastfeeding. "Whilst it is widely accepted that breast milk is the best for feeding babies, it is currently unclear whether excluding allergenic foods from the diet before six months of age is the best way to prevent the development of food allergy and other allergic diseases such as eczema. This study aims to provide an answer to this important question," explains Dr Michael Perkin, Department of Paediatric Allergy Research, King's College London. "This approach is a 180 degree turnaround for allergists who were vigorous proponents of delayed introduction in the 1990s," emphasizes Prof. Hourihane.